This is a major release with many new features and bug fix; you can check new features in detail here or visit the Twproject site. From a brand new site to the Gantt editor we worked hard to make Twproject the best PMS available; doesn’t matter if you are a small or a big company, if you work on products or services, if you’re a creative or a research group, it will always fit your needs on projects and team management. With Twproject you will be always able to access up-to-date projects data: tracking progress, forthcoming deadlines, worklogs and costs will be much easier. Twproject is a project management solution that minimizes the effort of administrative tasks and lets you focus on what’s really important for your company to grow. Twproject makes your data easier to collect and tracking task progress will become easier too. Twproject comes with a built-in interactive Gantt tool that visualizes your projects and allows you to easily update them in real time, adding assignments, milestones and dependencies. However you work, there is a solution in Twproject time tracking system: time can be logged in several different ways because Twproject will adapt to your habits. For instance, if you are a graphic designer, a developer or a customer support specialist, issue/ticket based worklog is your way of work logging. If you are an architect who is often doing field work, you may need a weekly plan; also a detailed view is available. If you are a project manager or an accountant, you may need timer based recording. Work log can be validated, approved, and monitored in real time. Generated costs can be verified any moment. 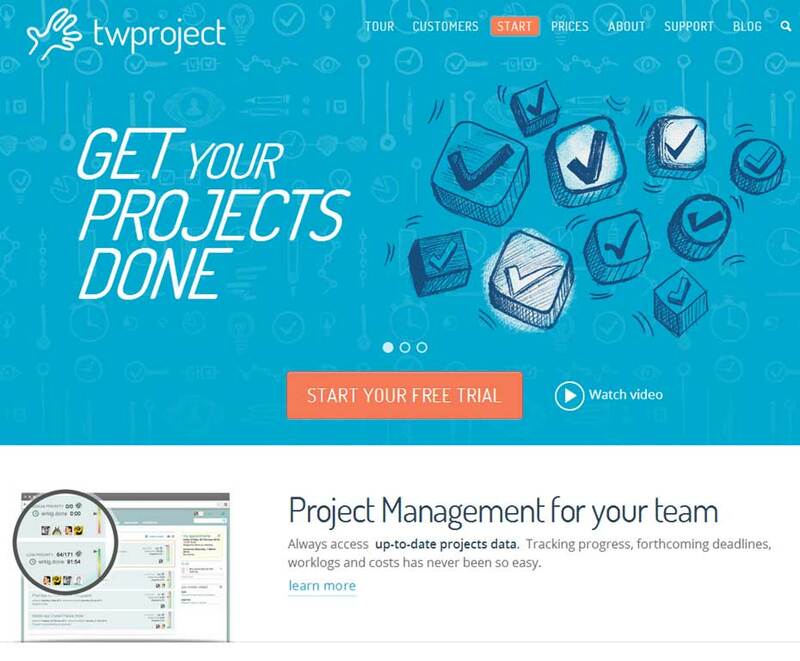 Twproject dynamically creates teams according to the project you are working on. You can communicate, prioritize, check their work load, share agendas, files. Join the team discussion available on every project, keep your teams connected. What is the difference between Twproject and the many PMS you can find on the web? Well, first it is not an on-line service; purchasing Twproject you can both have it installed on your own server or you can have it installed on a dedicated Amazon cloud server where it will run just for your company, just in minutes. Then it is the most complete and featured PMS you can find. If you want to give it a try there’s an on line demo or you can download and install the 15 days free trial. Go to the Twproject site now! ← Good news for all WordPress’ users. MiniAudioPlayer is now Skinnable!